If you are planning on showing an angora, you will need to have a large ceramic bowl, this is to ensure that their face furnishings are not covered in food debris when they are eating. This does not mean that you have to fill the bowl up. 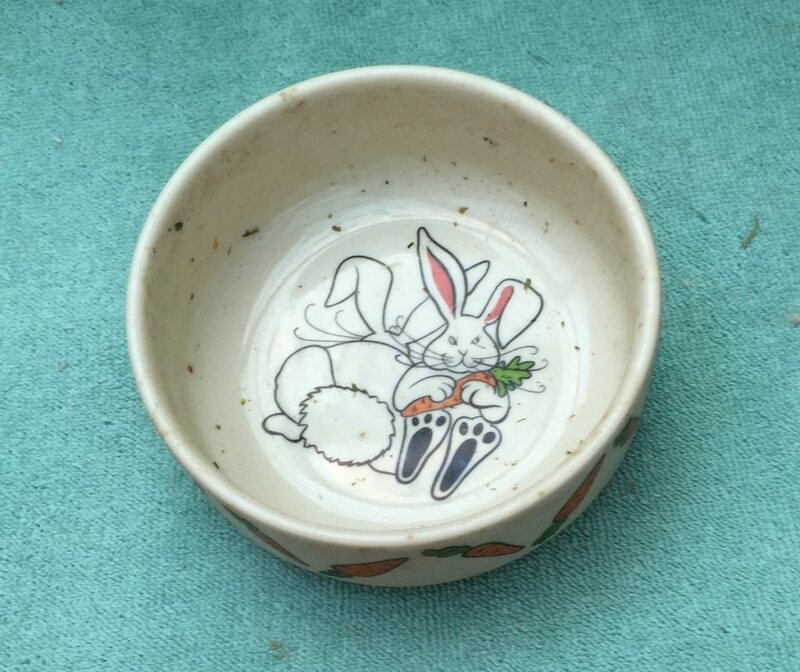 Plastic bowls tend to get chewed by rabbits and this will catch in their coat and damage them. If space is limited in the show cages then use a smaller ceramic or glass bowl. Posted 23/04/2018 by SM & filed under Angora Welfare.